Alan F. Berdan D.M.D., P.C. (New York) - Book Appointment Online! Alan F. Berdan D.M.D., P.C. 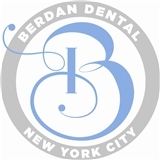 Our practice is focused on delivering all the latest advancements in cosmetic and general dentistry, as well as Periodontics and Implant dentistry in a state-of-the-art, comfortable atmosphere. We use the Milestone Scientific WAND system to deliver virtually painless anesthetic injections to our patients. Special touches such as scented aromatherapy and lemon-scented warm towels at the conclusion of your visits so that you will have an overall pleasant dental experience. We look forward to being your dental provider of choice. Professional, friendly and knowledgeable. I’ll be back!